So hes an android as well? At least then he can be repaired without much ramification. Yeah, testing(? Siren?) definitely called it several pages ago, not that I ever disagreed. The question is, are both of them androids, or just Declan? and do they know they are? it was stated that they can make androids very very convincing. I just let go of my belief that one of them was an android a couple pages ago too, damn it! “Not again” sounds like they know how to fix it at least. Now it begs the question: do they have the technology to do memory transfers from organic people? 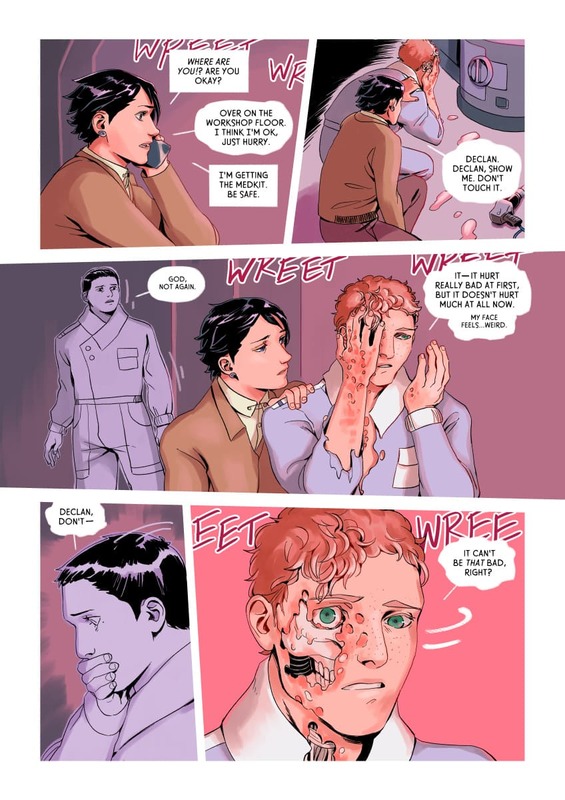 Was Declan really a living human being before he was an android?